Very satisfied with the handling and feel of the tires. I have Kumo's on my Dodge 2500 truck also. These are on a 1999 Ford Crown Vic. I read the Consumers Reports article which gave the Kumo's a very high rating. I am very satisfied with these tires. Great tires. I have purchased 2 more sets since getting these. I had Goodyear tripletreads before these and what a differnece. Smoother ride, no more road noise and great winter handling. So far the tires after about 13K are great. Showing little if any signs of wear and I am guilty of not rotating yet. quite with a good ride, longest trip has been 700 miles on them and it was pleasurable. Bought a set in 15" for my old daily driver 318is as well. A+ Experience..would recommend to a friend in a second! Replaced set of GeoTrackers that were very loud (more truck-like) and these are very quiet and smooth running. great quality tires for the price. No problems. They might be a little noisier than others but you can't beat the price. I LOVE THESE TIRES I BOUGHT A 05 CHEVY COLBALT AND HAS KUHMO TIRES BUT THE ONES I HAVE AREE DISCONTINUED SO I HAD TO TRY THESE I DID AND IM VERY HAPPY. Not sure exactly how many miles I have on these tires but they have worn long and well. We bought a pair & then another pair 6 mos later. The older pair is down to 3/32", just got rotated to the front & that prompted a decision to replace (rough ride, poor steering response at this tread level). 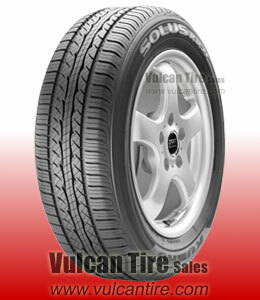 Loved them till now, although we are now going to try a Falken tire hoping for similar performance at lower price.